The Taco Trucks Columbus team recently spent a weekend taco trucking with G.A. Benton, Becky Zimmer and Jodie Miller from Columbus Alive. 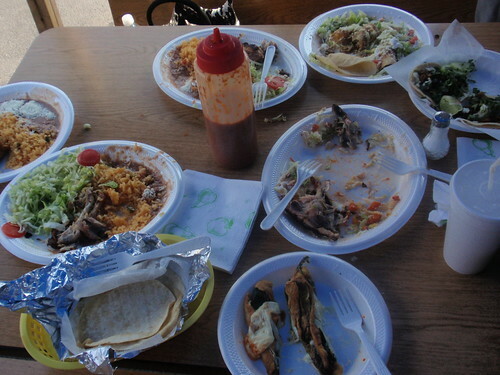 We had a great time together eating tacos, tortas, tostadas and more at six of the best street food vendors in Columbus. It is always a pleasure to introduce someone to a new taco truck experience but it is even better when the people you are with already “get it” and do not need to be coaxed, encouraged or begged to step outside their culinary comfort zones. The Alive crew are experienced eaters who were more than glad to engage in exploration with us. It was also rewarding to step back from the experience at times. 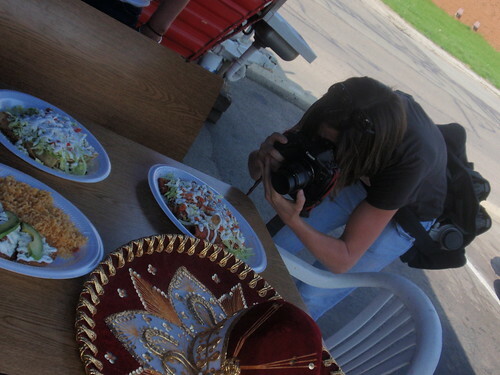 There are some activities that are inherent to food writing, including: taking a lot of photos before the eating ensues, ordering as many items as possible to share so a menu can be explored in depth, endless questions for our cooks and hosts, telling stories of restaurant adventures past and present and the eventual breaking point when you try one taco too many. This is not a venture for the wary, inexperienced or the non-committed. Having a group of experiential food explorers on the team was fun. It brought back memories of the first weekends of exploration when Taco Trucks Columbus was born in 2009. I had forgotten what it was like to hit three or more trucks in an afternoon. While sharing our stories with GA Benton I was able to relive some of the best days of the past year. We were also able to introduce our Alive colleagues to Quicho, Lydia, Grace and other friends we have made during our taco traipsing. Food brings people together like a melting pot and it can coax people with different opinions and experiences to the same table. There is some talk of bad blood between newspapers and bloggers or a war between print and electronic media. In my experience that is not the case in the capital city. We may use different media but our aims and means are the same. Our joint mission is to educate people inside and outside of 270 about the incredible diversity and quality of food Columbus has to offer. This is not propaganda we are prophesying, this gospel is true and we want all of you to believe it. In the case of taco trucks, we have had a hand from The Dispatch, Fox 28, Channel 6, The Big Bass Brothers, and others – we might not be on the same team, but we play the same game and we observe good sportsmenship in the process. 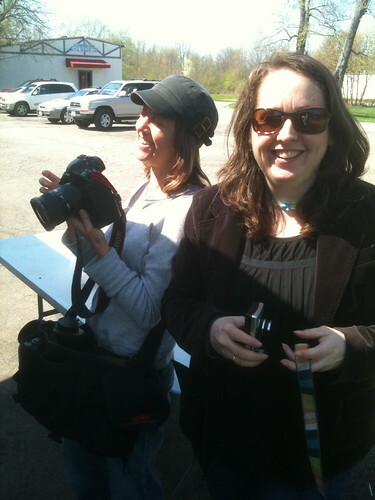 The article about our adventures should be in Columbus Alive on April 29th. 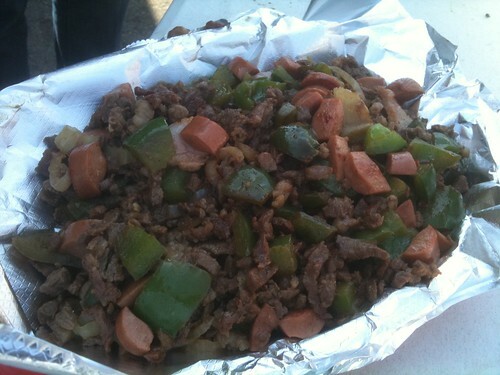 If you want to share in the taco tour experience, join us on April 24th for a tour of the best of west side. The Latino population of Columbus is expected to reach 10% in the 2010 census. Their culture and cuisine adds to the richness of our community. 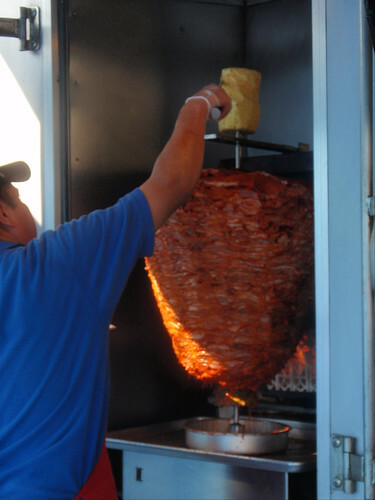 Columbus has about thirty taco trucks at the present compared to zero in Cleveland, a handful of Gringo/fake out Taco Trucks in Cincinnati and few, if any, in the rest of the Midwest. These mobile food vendors are uniquely concentrated in the capital city which shows the diversity and depth of cuisine our city has to offer to visitors and residents. Come join the team. This entry was posted on April 22, 2010 at 3:40 PM	and is filed under Columbus, culinary knowledge, events, tour. 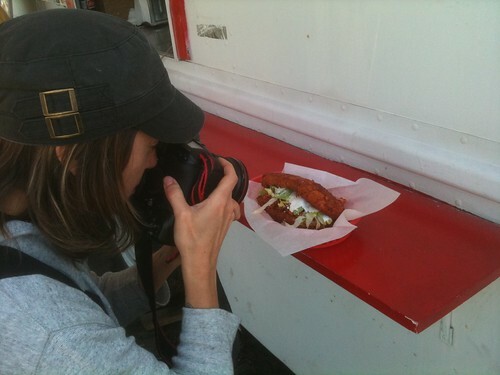 Tagged: GA Benton, Taco Truck Tour, Taco Trucks Columbus. You can follow any responses to this entry through the RSS 2.0 feed. You can leave a response, or trackback from your own site. I am so bummed that I was away last weekend and missed the tour. 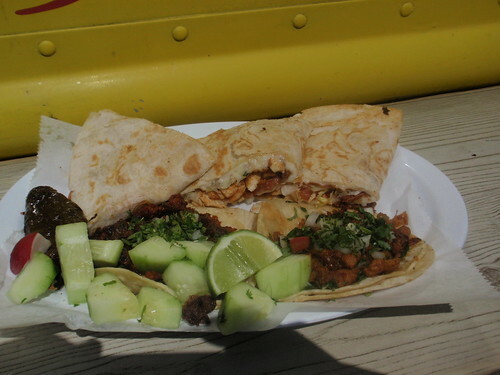 I plan on retracing your steps to discover the taco trucks of Columbus. I’ve only been here 9 months, but have been blown away by the diversity here. Taco trucks here I come!